Chicago-based startup Sprout Social, the developer of a social relationship management platform for businesses, has raised $1 million in new funding from Lightbank. The startup had previously raised an undisclosed round of funding from the investment firm earlier this year. The startup’s platform, which launched to the public in August, allows businesses to connect to customers and monitor key metrics and the overall competitive landscape using social media tools. Sprout Social integrates with social networks such as Facebook, Twitter, Yelp, LinkedIn and Foursquare and includes lead generation, business intelligence, offer and promotion distribution services, as well as brand monitoring and analytics. 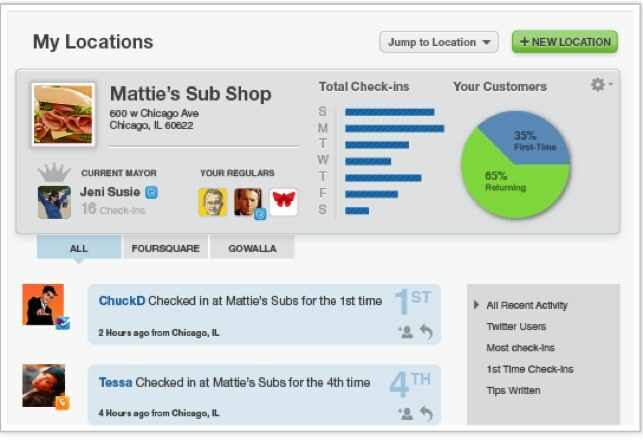 Sprout Social has also announced the addition of a number of new location-based social media tools. Business users can now use data from Foursquare and Gowalla to tailor messages and promotions to customers ranging from first-time visitors to frequent guests. For example, businesses can receive text message alerts if a customer “checks in” at their place of business via a location service on their smartphone. The Sprout Social SRM subscriber can then tailor a response; e.g., offering a “welcome” special to first time users or reward customers who have reached a threshold number of visits. The startup also plans to integrate with Facebook Places. Since launch into private beta earlier this year, the company has gained 2,000 clients and is seeing “hundreds” of businesses signing up each week. The new funding will be used grow the engineering and support staff and towards customer acquisition.